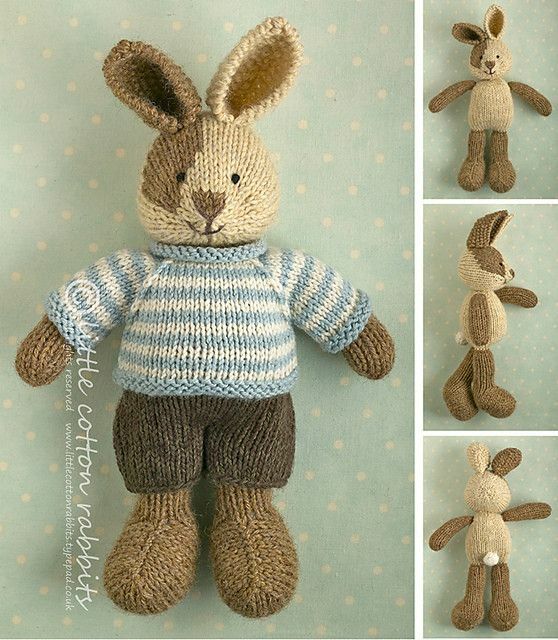 This listing is for an extensive PDF file which contains full instructions for knitting and finishing off a little cotton rabbit boy with a stripy sweater and shorts. The pattern is for knitting flat on two needles and all pieces are seamed afterwards. Please note that this project is not a quick or simple knit. It takes me around 14 hours to knit and finish each of the animals that I make and just under half of that time is spent on the finishing off. There are lots of separate pieces which require seaming and sewing and if you are looking for something fast and easy you would probably be better off finding a different pattern. 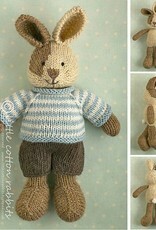 That said this PDF file will give you all of the information and techniques that you need to knit the little bunny pictured.